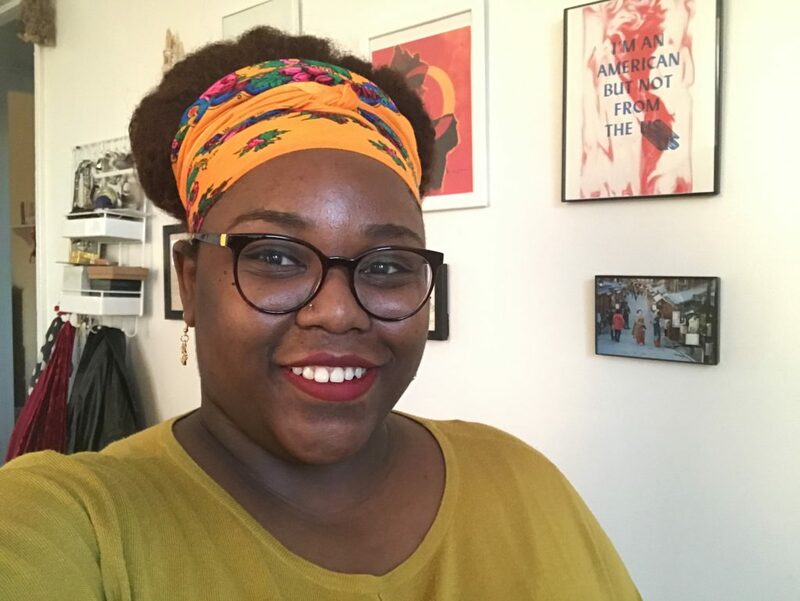 Shaniece Frank is a Brooklyn-based Trinidadian-American artist and activist who is invested in storytelling, education, and advocacy. She has developed a social practice that engages individuals, communities, and institutions in facing issues of race, gender, disability, sexuality and economic justice. Tania Bruguera’s Asociación de Arte Útil has been an incredibly influential framework for me. Arte Útil is a growing archive of work created by its users that proposes new functions for art in society. It poses the idea that art, to work effectively, must be useful in ordinary life. I believe that the function of art is a utilitarian one and my responsibility as an artist is to shape and create alternative spaces of resistance. As an artist, I treat my work as a fertile ground for the growth of grassroots mobilization. That is why Arte Útil serves as a guiding framework in the development of my social practice. While I currently live in Bay Ridge, Crown Heights is home. For me, the Brooklyn Museum is a very meaningful space. Its where I fell in love with art and where my friends and I spent countless Saturday evenings spending time with Mickalene Thomas and Judy Chicago in the Center for Feminist Art, and dancing the night away to local musicians in the lobby on First Saturday. It’s also a significant space for me in celebrating my culture. In the week leading up to the West Indian Day Parade my friends, family, and I go to the museum for related events; the most spectacular being the steel pan competition. It always brings me back home to Trinidad.